Hi everyone! So….this recap is overdue. Embarrassingly overdue. It’s basically been two weeks since the first annual Central Coast VegFest, and I’m still dreaming about this glorious event to this day! If you don’t know what VegFest is, it is essentially a internationally-embraced festival oriented towards the vegan lifestyle–plant-based eating, nutrition, beauty, clothing, wellness, fitness, animal rights, natural living, food, you name it! Many cities in the United States as well as cities in the United Kingdom host a VegFest, so it’s guaranteed that you’ll find at least one that’s close to your state or proximity! I never fail to have an amazing time at health-related expos or conventions. Last year’s Circle V, VegFest L.A., and Vegan Street Fair, 2016’s L.A. Fit Expo, Natural Products Expo West, and 2015’s IDEA World Fitness Convention all amazed me in their own ways. Unlike these events, this VegFest, given that it was the first, was a bit more modest in terms of structure, line-up, and organization. There weren’t any fast passes or major V.I.P. reservations except for purchasing a $10 “swag” bag filled with numerous vegan magazines and vegan goodies, which is exactly what I did! While my friends decided to attend the festival later, I got a head-start and arrived around 11:30 P.M., right around the hustle-bustle hour. 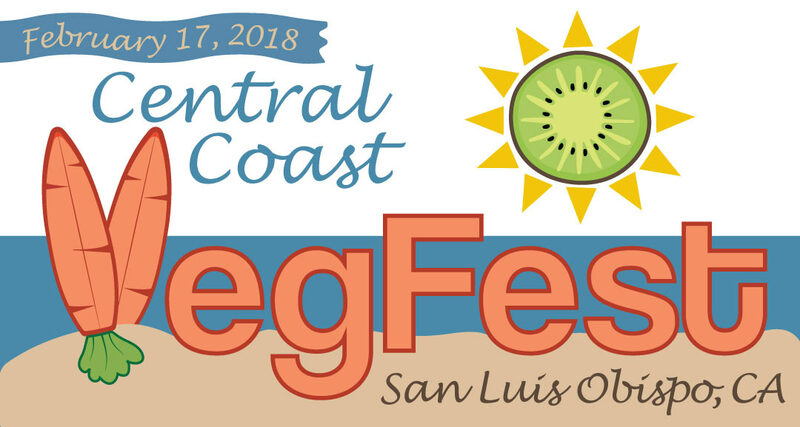 The turnout of people was very substantial for the festival’s size, especially given that the vegan community in San Luis Obispo isn’t as prominent as those in SoCal. Many local vendors attended such as Bliss Cafe, The Neighborhood Açaí and Juice Bar, Kacey Cakes, and more! I stopped by every booth, but the first of the eats I had to enjoy was from Southern Fried Vegan, a Los Angeles-based vegan soul food restaurant brand. The line was insanely long, but so worth the wait! But while I waited, I ate a Lakanto 55% sugar free chocolate bar…because, you eat while you wait to eat. Obviously. My bowl consisted of a mix of vegan jambalaya (which I never had before), Beyond Meat barbecue Chick’n, seitan barbecue beef, and sautéed collard greens! Though it doesn’t look like much, I was SUPER full after this meal due to the combination of rice and protein-packed faux meats! Still worth every bite and penny! Also, I met some really nice vegan girls who were willing to take candid pictures of me with my food, such as this one. They were super sweet! The last of the eats I got was this doughnut kabob from Stoner Girl Treats and Eats! The stick had a churro donut, sprinkled strawberry donut, and a blueberry crush donut. Surprisingly, the blueberry donut was my favorite! I loved the churro donut second, but all of the donuts were delicious. They were pretty thin, and I was glad they were lighter than the average donut. Okay, so given that I didn’t eat nearly as much as I’d normally do at conventions, my friend Katherine and I went on a little vegan foodie excursion where we re-visited a beloved chocolate shop in downtown SLO called Mama Ganache Artisan Chocolates! I actually received a box of vegan chocolates from this shop from my roommate as a birthday gift, and I was stoked to have returned! Both of us were absolutely elated to find out that they also serve vegan milkshakes! I never tried a milkshake until this experience, so it was an incredible first time sensation. It’s weird that I never tried a milkshake before, given that I’ve adored ice cream growing up! Parents who just are so conservative when it comes to sweets can really damper your variety of desserts. Yep. But anyways, all was glorious in the world when our milkshakes arrived! We requested the staff to add EXTRA dark chocolate, which they happily did, and man, were they generous with it. Just look at the drizzles, shavings, and swirls of dark chocolate in the glass as well as inside the coconut milk ice cream that was originally vanilla flavored! You can also tell that it’s super creamy but also kind of like a smoothie. Perfection in a glass! We had WAY too much fun with our milkshakes before digging right in. Verdict? If you want to be transported into heaven, drink this vegan milkshake. And request extra dark chocolate while you’re at it. When dinner came around, I couldn’t help but satisfy my sushi cravings. I settled with picking up two orders of these MASSIVE cucumber sushi rolls from Haha Sushi (they were on their 50% off menu, so I just had to bulk up my purchase! ), and whipping up the five-spice Hodo Soy tofu nuggets back at my apartment! Man, was this combination FANTASTIC. You have the aromatic and warming spices from the tofu nuggets, and the sweet rice and refreshing cucumbers from the sushi. Can you really go wrong with this pairing? Absolutely not! Here’s what the tofu nuggets look like! There was also wasabi and ginger in the back, which, to be frank, I did not touch whatsoever. For dessert, I assembled two roasted Hannah sweet potatoes and drizzled sunflower seed butter on each of them, and stuffed them both with a Munk Pack double dark chocolate chip cookie and a chocolate two-ingredient cookie my boyfriend made for me for Valentine’s Day that week. While absolutely delicious, they were super filling, so I ended up leaving half of a Hannah sweet potato for the next day. No food goes to waste in my house. EVER! Besides, sweet potatoes are always delicious in any form!